Republicans are in revolt. Democrats … not so much. Washington—Republicans are in the midst of an insurrection. Democrats are not. This vast gulf between the situations of the two parties—not some grand revolt against "the establishment" or "incumbents"—explains the year's primary results, including Tuesday's jarring outcomes in Florida and Alaska. The agitation among Republicans is not surprising, given the trauma of the final years of George W. Bush's presidency. After heavy losses in 2006 and 2008, it was natural that GOP loyalists would seek a new direction. Liberals who saw Bush's presidency as a failed right-wing experiment thought Republicans would search for more moderate ground, much as Britain's Tories turned to the soothing leadership of David Cameron to organize their comeback. But this expectation overlooked the exodus of moderates over the last decade, which has shifted the balance of power in Republican primaries far to the right. As a result, the main critique of Bush in Republican ranks saw him as insufficiently conservative—too inclined to support federal action on education and in expanding prescription drug assistance to the elderly, and too ready to run up the deficit. That the deficit increased primarily because of two tax cuts and two wars did not enter their calculation because acknowledging this was ideologically inconvenient. In the meantime, the election of President Obama by a demographically diverse coalition anchored among younger voters helped unleash the furies inside an older, overwhelmingly white and Southern-leaning GOP coalition. Thus Tuesday's results: Democrats stayed in their comfort zone, as they did earlier this month in Colorado, while Republicans went for outsiders. The contrast was starkest in Florida. In the Democratic primary for the state's open U.S. Senate seat, Rep. Kendrick Meek had the backing of party leaders and overwhelmed Jeff Greene, a billionaire businessman. But on the Republican side, Rick Scott, another very rich outsider, ran a brutal campaign to seize the party's gubernatorial nomination from the one-time front-runner, state Attorney General Bill McCollum, who enjoyed wide support from the party leadership. In Alaska, Republicans produced the shocker of the night: Insurgent Joe Miller, who had Sarah Palin's backing against incumbent Sen. Lisa Murkowski, had a lead of about 2,000 votes after having trailed badly in the polls for the entire campaign. However the contest turns out when absentee ballots are counted, few races this year offered as clear a case of right-wing dominance in Republican primaries. And even the day's major victory by an incumbent showed how much deference the right now commands. Sen. John McCain defeated former Rep. J.D. 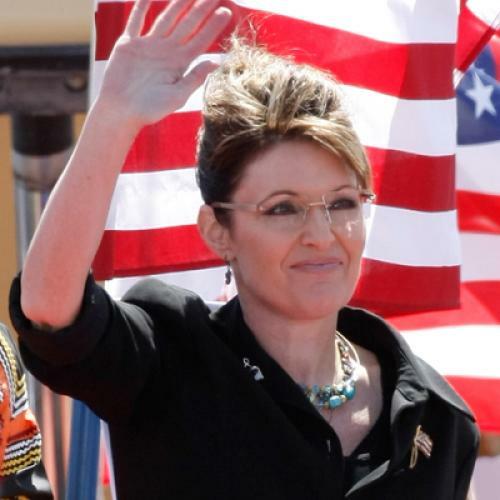 Hayworth in Arizona by abandoning or modifying long-held positions to appease hard-line conservatives—and by bringing Palin into the state to campaign for him. The continuing transformation of the GOP was underscored by a recent analysis of Pew Research Center surveys by Michael Dimock. He found that the proportion of Republicans and Republican-leaning independents who consider themselves conservative rose from 58 percent in 2000 to 67 percent in 2010. And in a June Pew survey, 59 percent of Republicans and independents who lean their way said the party should move in a more conservative direction; only 35 percent said it should move in a more moderate direction. In the short run, the Republican lurch right has unleashed new energy in the party and helps explain why most polls show its supporters more enthusiastic than Democrats about this year's elections. The Democrats' chances of holding down their losses in November now depend heavily on whether they can generate a backlash against an increasingly immoderate GOP. Already, Republicans who won primaries with Tea Party backing—notably Senate candidates Sharron Angle in Nevada and Rand Paul in Kentucky—are facing withering Democratic attacks. The question is whether such critiques work only against marquee right-wing candidates, or whether the entire Republican Party comes to be seen as moving too far away from the views of what is still a moderate country. The paradox is that a Republican Party in the grips of ideology now needs to shift the campaign in a less ideological direction, hoping that voters simply cast protest ballots against hard economic times. Democrats, who are more creedally diverse, now have every interest in turning the election into a philosophical contest, arguing that even unhappy voters cannot trust their fate to a party in the grips of a right-wing revolt. Once again on Tuesday, Republican primary participants seemed determined to give Democrats that opportunity.